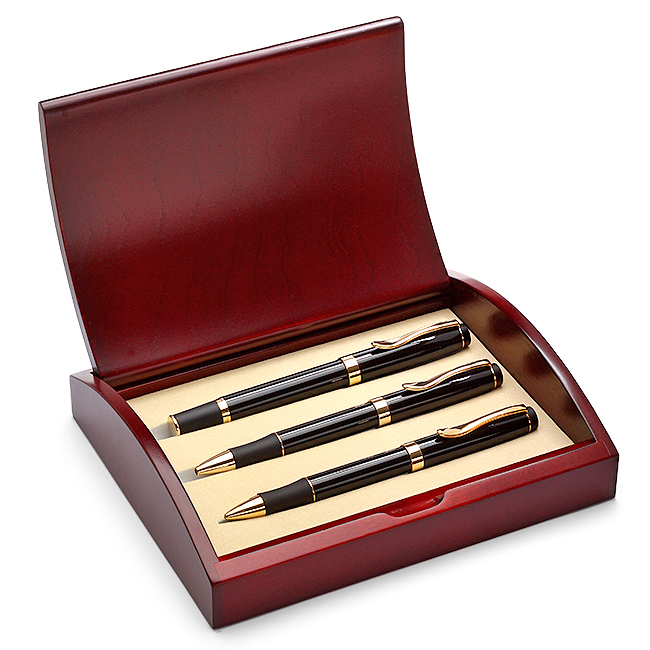 This unique desk set features a ballpoint pen, a roller ball pen and a mechanical pencil inside a cherry finish wooden box. 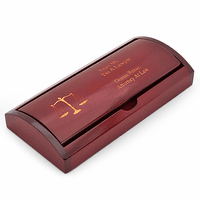 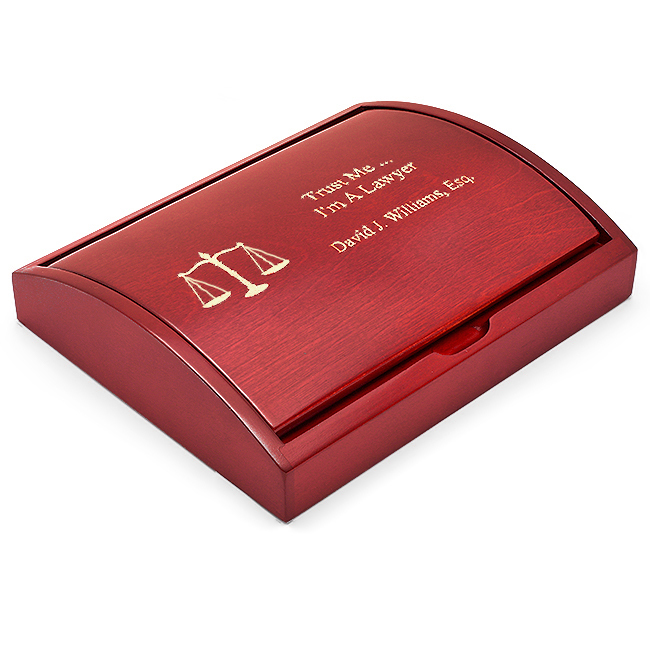 The box comes laser etched with the scales of justice to the left and your own custom engraving to the right. 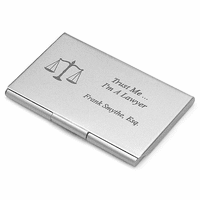 Popular customization choices include the recipient's name and place of employment, their name and job title or a humorous quote like we show in our sample picture. 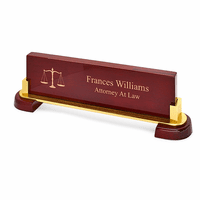 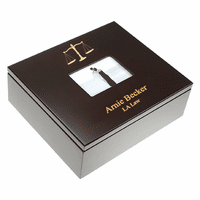 This set makes for a great personalized gift for lawyers, law clerks and anyone else in the legal profession.